Two new confirmed cases of Ebola in Sierra Leone prove that the virus is now in its second generation and there is currently no vaccine to tackle it, WHO's Special Representative for the Ebola Response told Sputnik Friday. 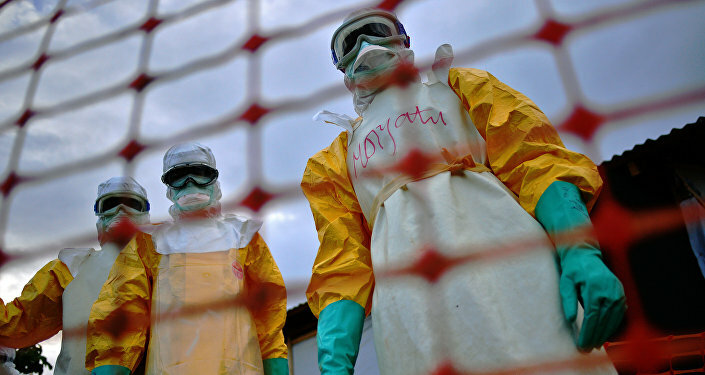 MOSCOW (Sputnik) — On Thursday, the World Health Organization (WHO) confirmed a new Ebola case had been registered in Sierra Leone, the second since West Africa was declared Ebola-free last week. "It is the second generation, the question is if you get the third. The second one is not controlled," Bruce Alyward, said. In December 2013, an Ebola outbreak started in Guinea, later spreading to Liberia and Sierra Leone. The virus has claimed the lives of over 11,000 people, according to WHO estimates. UN Secretary General Ban Ki-moon has warned that Ebola virus outbreaks would happen in 2016 despite the fact that all known chains of Ebola transmission had been stopped in West Africa.